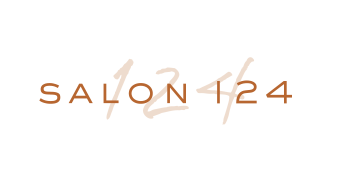 Founded on professionalism and sustained by education, since opening its doors in 1991, Salon 124 has helped change the perception of salons and salon professionals while raising the bar in professionalism and consistent service. 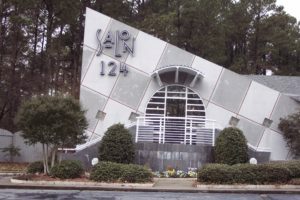 With salons in Grayson and Duluth (Sugarloaf Parkway), Salon 124 serves thousands of clients throughout the greater Atlanta area offering the ultimate experience to its clientele. Rest assured you are in the best of hands with Salon 124 stylists. Stylists at Salon 124 are continuously trained on new trends in cutting, hair coloring and keratin and smoothing treatments. A relaxing shampoo service and soft lighting guarantee the utmost relaxation during your salon experience. Salon 124 guests should expect luxury hair care in a warm, welcoming environment from expert stylists who have extensive experience and years of advanced training. 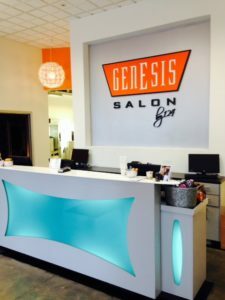 Since its inception in 1996, a fresh, energetic Genesis Salon welcomed guests looking for quality hair at moderate prices. Genesis by 124 has expanded to four locations in Lawrenceville (Shoppes at Webb Gin), Suwanee, Hamilton Mill and Loganville. 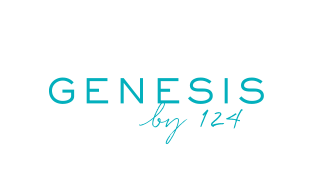 Genesis by 124 provides the start to an incredible career path for stylists. Working alongside seasoned professionals, while attending a plethora of educational and inspirational events, stylists begin hitting goals established for them to receive promotions and grow through the level system. This level system supports the maturation of stylists through advanced education as well as business and personal development. Stylists’ performance is measured by experience, expertise and education. As a stylist levels up, their prices increase slightly, allowing clients’ expectations to expand with each level. 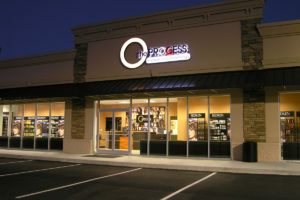 After launching countless talented stylists through its original apprenticeship program, The 124 Group saw the demand for superior education and opened its first cosmetology school, The Process Institute of Cosmetology, in 2006 in Lawrenceville, Georgia. Since then, hundreds of talented stylists have blossomed from the amazing curriculum offered. In 2014, The 124 Group established an alliance with Keune Haircosmetics and rebranded its cosmetology school to be known as Keune Academy by 124, connecting it to more than 80 countries worldwide and dozens of internationally-known educators. Keune Academy by 124 continues to build future hairdressers and cosmetologists with classes starting every eight weeks offering certifications in Hair Design and Master Cosmetology. Our passion has always been rooted in serving others, and after years of offering insights to our friends throughout the beauty industry, 124GO is excited to share comprehensive business tools and inspiring education which have helped us sustain and grow our salons and cosmetology schools for more than 27 years. Follow along on Instagram and Facebook as we GO. Since its humble beginnings in 1991, the mission at 124 has been clear – to elevate the beauty industry and the communities it serves. 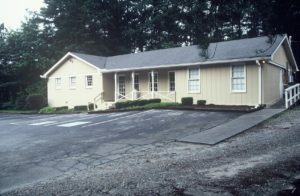 Even as a single location nestled in what once was the quaint community of Snellville, Georgia, the intention was to raise the standard of professionalism. Whether you had experienced an upscale salon or not, your expectations of salon service providers immediately increased when you experienced Salon 124. Combining quality hair services with hometown hospitality, 124 worked to establish itself as an unquestionable leader within the beauty industry and the community. As a young entrepreneur, Brian Perdue identified an opportunity to address a clear lack in consistent, professional salon services, specifically in the suburbs of Atlanta. 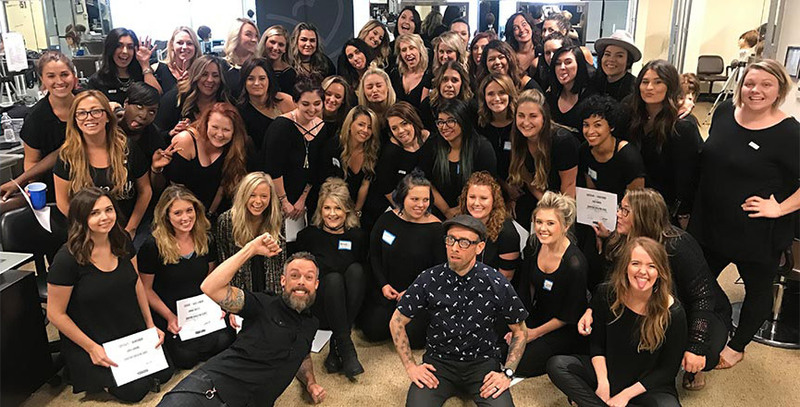 After his wife, Karen, convinced Brian to attend cosmetology school, the duo built a plan to develop a place for stylists to grow and for clients to enjoy elevated hospitality and service. Core Values: Purposefulness. Innovation. Integrity. Fulfillment. Teamwork. Family. Now #124FAM encompasses three brands, seven business locations, dozens of educators and mentors, hundreds of stylists and arguably most importantly, the thousands of clients seen every day at salon locations and throughout the community. Whether you walk into the flagship Salon 124 or the newest addition to the #124FAM, Keune Academy by 124, you will immediately understand the 124 difference — Family. It is what defines 124 at its core and what drives each individual, from the assistant who shampoos your hair to the location manager that leads their team to show up day after day. It’s why we now call ourselves #124FAM. It’s why we’ve been recognized as Best of Gwinnett for more than a decade. Be it co-workers, clients or community members, the relationships created through the salons are what makes 124.